Everyone keeps some kind of calendar for medical appointments, for social engagements, for reminders of birthdays and anniversaries. 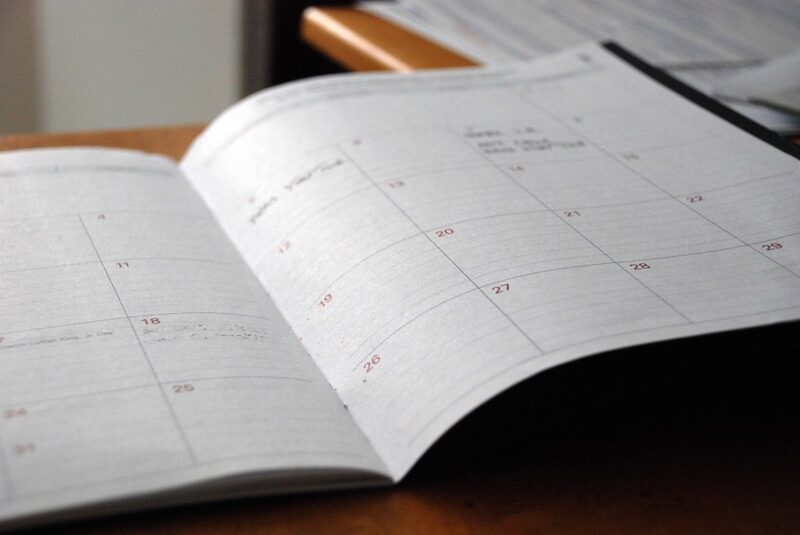 What about your calendar for meeting your financial obligations and anticipating expenses? Whether you use the old-fashioned wall calendar or your phone, it’s just as important to keep track of “financial appointments” as it is social ones! Here’s how to get started on your Financial Calendar. It will help to use your checkbook register and credit card statements for this exercise. Think of your monthly expenses, like rent, car payments, loans, and credit card payments. Plug those due dates and dollar amounts into your calendar. They probably show up around the same date every month. Next, look for the items you pay annually or semiannually, like car insurance premiums, homeowners/renters insurance premiums, tuition payments or your kids’ school fees, professional organization/membership dues, state automobile licensing fees, or auto inspections. Plug those due dates and dollar amounts into your calendar. Now, think of items that you know have to be paid for, but have some leeway. These are things like car maintenance (oil changes, tire rotations), charitable contributions, or vacation or holiday travel. Put those items in the month(s) most likely to occur. Filing income tax returns: Plug in some dates to show when you expect W-2 earning statements, interest statements from banks, etc., and set a date to do your tax return. This will help you avoid panic in April. Contributing to your 401k, if you have an independent plan (not employer deducted). You can contribute anytime, but the deadline for contributing is April 15 or the following year. Anticipated medical or dental expenses, such as elective surgery, braces, or things not fully covered by medical insurance. Now, to really fine tune this plan, plug in dates to add to your savings plan, get your free credit report, pay off a credit card account—you can use your calendar for anything that has a financial impact on your life. The important thing is to start using this tool to help you plan and to make your financial calendar as important as your social calendar!